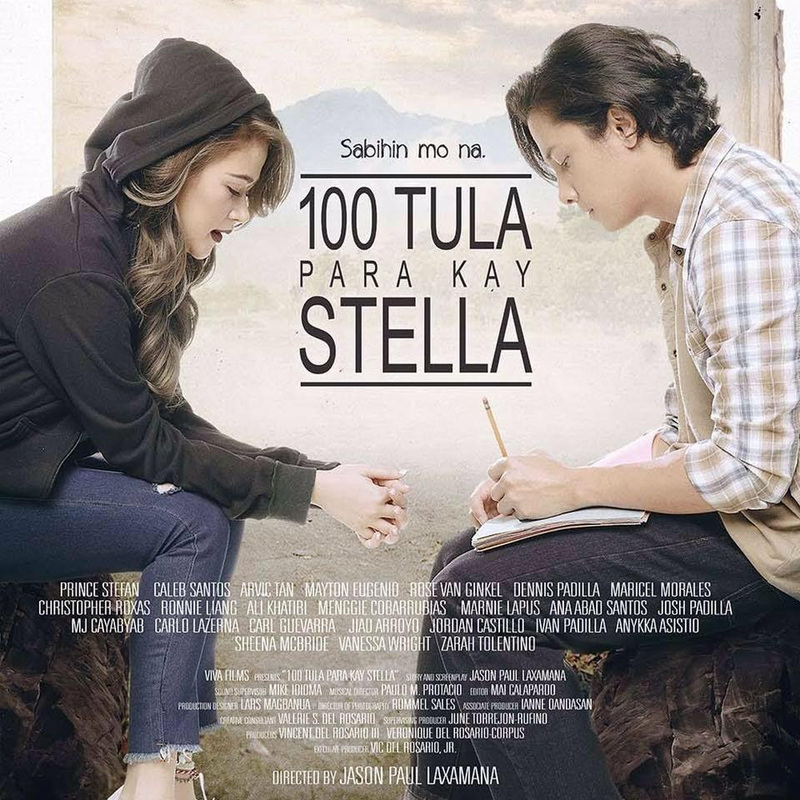 THE CURRENT topgrosser in the Pista ng Pelikulang Pilipino is “100 Tula Para Kay Stella”, raking in P4 million plus on its opening day. It’s the best work of young writer-director Jason Paul Laxamana since his award-winning “Magkakabaung”. 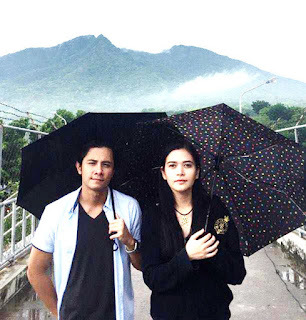 Just like “Kita Kita”, it’s about lost loves and broken hearts that viewers enjoy the most when watching movies. And we ourselves just adore movies about unrequited love, like “Splendor in the Grass”, “My Best Friend’s Wedding”, “The Great Gatsby”, “Casablanca”, “Titanic”, “500 Days of Summer”, etc. “100 Tula” is about Fidel, a young man with a speech defect so he becomes a loner. In a provincial college in Pampanga, he meets a free spirited girl, Stella, who defends him from bullies who humiliate him and doesn’t care if he stutters. But naturally, he falls in love with her but is never able to articulate his feelings for her. Instead, he secretly writes poems for her. For Stella, Fidel is only a friend, as she has other boyfriends. She dreams of being a famous rock singer and neglects her studies so she fails in all her subjects in their first year in college, much to the chagrin of her older sister who’s sending her to school. They’re actually a mismatched pair. At first, it’s Stella who seems to be the winner and Fidel, the nerdy loser made fun of by other people because of his stuttering. Eventually, their situations are reverse and Stella ends up being the loser while Fidel eventually succeeds in obtaining a college degree, but with a broken heart. But even his writing has improved. He starts in Tagalog then even ventures into writing in English. The movie works because the two leads are both outstanding in their respective roles. Bela Padilla as Stella is totally believable as the seemingly overconfident chick with dark lipstick and a tattoo. She delivers her lines casually and with a tinge of persuasive insouciance. When she reveals to Fidel that she is just using her boyfriends and she doesn’t want to use him at all, you believe her. And you feel sorry for her for committing so many mistakes in her young life. The first time we saw JC Santos in “Esprit de Corps” as an overbearing corp commander and as the dog in the musical “Kung Paano Ako Naging Leading Lady”, we were so impressed by him we felt he’d soon be playing bigger roles. And we were right. His role as Fidel is actually reminiscent of Cyrano de Bergerac, the hero with a nose defect who secretly writes poems for the woman he loves. Fidel also can’t communicate his love for Stella and writes 100 poems for her. But by the time he’s ready to give it to her, it’s too late. What’s astounding about JC is that he gives a very relaxed but very effective portrayal of the underdog. It helps that he has an easy, charming screen presence, but it is his gentle but perfectly nuanced performance that cannot be praised enough. That scene shot in Mt. Arayat where Stella finally tells him she has read his poems and he, looking so crestfallen and crying quietly, is certainly a gem. You can really feel his genuine heartache. Not every actor can do that as poignantly. That a story of broken hearts and unfulfilled dreams can be so entertaining is a testament to Laxamana’s prowess as a thoughtful storyteller. His use of songs that mirror the turns of plot in the movie should also be commended. We should also give credit to the actors who give great support to Bela and JC, including the countless classmates they had through college. Will “100 Tula” be the next “Kita Kita” that will make a killing at the box office? Well, we hope so, for the sake of Viva Films after their last unfortunate release, “Double Barrel”, was first day, last day in some theaters.